Can Two Parents Both Claim the Same Dependent? Can Two Taxpayers Claim the Same Dependent? Only one person can claim a dependent on his tax return, but this doesn't mean that two parents can't both claim certain tax breaks that are associated with their child dependent. The custodial parent just has to agree to the arrangement. The custodial parent is defined by the IRS as the parent with whom the child lives for the greater number of nights during the year. The custodial parent is determined using the tie-breaker tests for qualifying children if the child lives with both parents an equal amount of time. The IRS will award the dependent to the parent with the highest adjusted gross income (AGI) when this is the case. Only the custodial parent is generally eligible to claim certain tax breaks. These include head of household filing status if the parent meets other qualifying rules, the child and dependent care tax credit, the child tax credit, the earned income tax credit, and the exclusion for dependent care benefits. The custodial parent used to be able to claim a personal exemption for the child as well, but these exemptions have been eliminated from the tax code in 2018 under the terms of the Tax Cuts and Jobs Act (TCJA). This doesn't necessarily mean that personal exemptions are gone for all time, but they most likely won't come back until the TCJA potentially expires at the end of 2025. Congress must take steps to renew the law at that time or the terms of the TCJA will no longer be in effect. The custodial parent can waive her right to claim her child as a dependent, effectively giving the dependent to the non-custodial parent. The non-custodial parent would then be able to claim the child tax credit and the tuition and fees deduction, as well as either of the education tax credits. The custodial parent would still be eligible to claim some child-related tax benefits even if she releases her claim to the dependent. These include head of household filing status if she meets the other qualifying rules and the child and dependent care credit. She can still also claim the earned income credit and the exclusion for dependent care benefits. Four criteria must be met before you can "split" your child, dividing up the tax benefits associated between parents. The parents must be divorced, legally separated, or have lived apart at all times during the last six months of the year. The parents must have provided more than half the dependent child's total financial support, and the child must be in the custody of one or both parents during the year. He cannot have lived with anyone other than a parent for more than six months of the tax year. Finally, the custodial parent must officially waive her right by signing IRS Form 8332. The custodial parent can waive his right to claim the dependent by submitting Form 8332 to the Internal Revenue Service. He might submit one of a handful of other documents as well, but custodial parents are strongly advised to use Form 8332. Other documents such as divorce decrees, separation agreements, and child custody agreements don't always provide the same level of detail as Form 8332. The noncustodial parent should attach the signed Form 8332 to her tax return. The custodial parent should keep copies of the form as well. Waivers are not necessarily permanent. Part I of Form 8332 only releases a parent's claim to the child for the current tax year. Part II releases the right in future tax years and you can pinpoint these years. Finally, a parent can resubmit Form 8332, completing Part III to revoke a release that she's already granted if she changes her mind. Noncustodial parents should carefully review whether they can claim a dependent on a yearly basis. 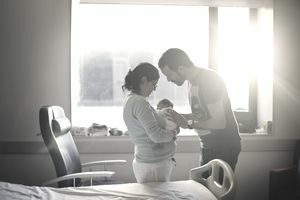 Only the parent who is claiming the child as a dependent would be eligible to claim the tax benefits for college and other post-secondary education. These tax breaks include the tuition and fees deduction, the American Opportunity credit, and the Lifetime Learning credit. These tax deductions and credits are not available for people whose filing status is married filing separately, and they're subject to income phase-out limitations. If neither of the parents can claim these tax breaks, they might want to forgo claiming the child as a dependent, allowing the child to claim these tax breaks herself. Two taxpayers should not attempt to claim the same dependent without filing Form 8332. This will almost certainly trigger an IRS audit of both tax returns. The IRS is aggressive in denying dependents and other child-related tax breaks when this form is missing. This sharing of child-related tax benefits is available only to taxpayers who are the child's parents. Splitting the dependent's tax benefits with other family members isn't possible.